Leidos is a global science and technology solutions leader working to solve the world's toughest challenges in the defence, intelligence, homeland security, civil, and health markets. We have a $10 billion portfolio, employing 33,000 people working in 30 countries. Our Australian business has almost 900 people and we continue to grow with our largest customers in Defence and the ATO. Leidos Australia provides a broad range of System Integration, Information Technology, including cyber and other specialised servies to the Australian market. Current significant programs provide key IT outsourcing to major Federal Government departments, including bespoke software integration to support critical government capabilities. Leidos is also seeking opportunities to bring additional capabilities from its US based parent to the Australian market. Leidos provides Cyber Security products, services and training to government and commercial customers in Australia and worldwide. From setting up and staffing Security Operations Centres, or providing managed security services, through to assessments to determine an organisation’s cyber security posture (APT simulation, Core Security Framework, Penetration Testing and Vulnerability assessment) and providing remediation support and training, the skilled and experienced Leidos Cyber Security team will optimise your Cyber Defence. 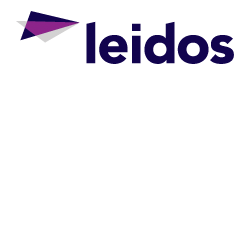 The Leidos Cyber Security suite of products comprises threat intelligence management and analyst workflow, insider threat detection, advanced threat monitoring and the Industrial Defender platform for securing industrial control systems. Leidos aims to make the world safer, healthier and more efficient through the integration and application of information technology, engineering and science to solve our customers’ most demanding challenges. With over 20 years’ local experience, Leidos Australia provides an unparalleled breadth of capability to our Government customers through our highly skilled and cleared workforce; now in excess of 900. We are committed to delivering innovative and cost effective solutions, managing risks, working collaboratively and drawing on our global experience. We aim to be the market leader in Government technology services and a respected employer in the community.